The next step for graduates after they proudly accept their diplomas is entering the workforce — yet a recent study found 53 percent of recent college graduates remain unemployed for months after graduation. Similarly, with more and more qualified graduates holding bachelor’s degrees, many individuals think more education can make more opportunities — and more money. In this economy, pursuing graduate degrees is a logical alternative to working or staying in the same position for years. The appeal of higher salaries, research opportunities, employer incentives and standing out among the crowd of your peers are enough to lead many down the grad school path. Although there are many great reasons to work on your graduate degree, it’s definitely not for everyone. To help you decide if it’s right for you, we break down three main factors of graduate school experience: cost, career path and time commitment. Do you know “what you want to be when you grow up”? 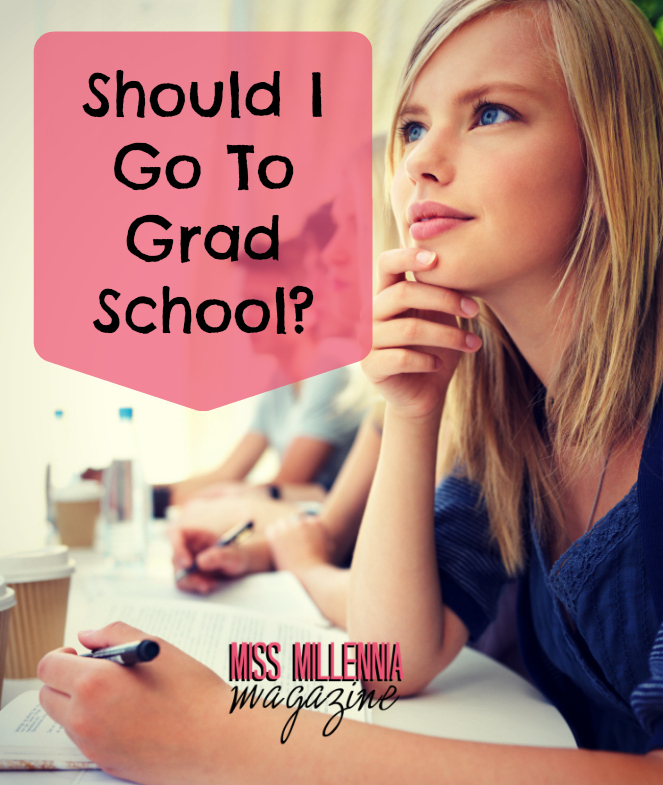 Most people have been asked that question hundreds of times in their lives, and you should continue asking yourself that question as you consider a graduate degree. Many vocational opportunities and paths are improved by holding a graduate degree, but lots aren’t. Jobs in the health care field are a definite “do.” Nurses and physical therapists are included, as are physicians’ assistants, medical professionals who provide diagnostic and preventative health care services. Another hot career path perfect for post-graduate education is technology and computer science, a field in which employment opportunities are expected to expand 22 percent between now and 2020. Engineers and economics graduates are also in high demand. Liberal arts degrees, like English, music or philosophy, can be gratifying, but won’t pay off in the long run— having a graduate degree in any of these fields doesn’t raise the salary, and these degrees can be pricy. Biology, history and chemistry degrees also have poor job prospects and lower pay. Money is a huge factor when you’re deciding if graduate school is right for you. Although the price of graduate school varies from school to school, the total average cost has risen 60 percent in the past few years. A public state college could set you back between $10,000 and $15,000, and you might pay upwards of $30,000 for a top-tier private university! The good news is, graduate schools often offer teaching or grading positions that pay for your tuition and give you a nice stipend. If you’re already a member of the workforce, call your Human Resources Department to find out if your company offers tuition reimbursement for pursuing graduate education. Just like with undergraduate degrees, you can get a loan for your post-graduate degree, but consider your future salary in comparison. Estimate your monthly costs for paying off those school loans, and if it’s more than what your salary could give you, it might not be the right choice for you. One of the biggest factors, especially for women who are balancing motherhood, work life and relationships, is time. Full-time graduate classes are typically twelve hours per week, and many are held in the evenings so even working women can attend. This isn’t counting the time you’ll spend writing papers, researching projects and completing presentations. Full-time graduate studies can take between two and three years, but if you have more time, taking part-time classes can help you strike a balance between life and schooling.